Ironic. Just the other day, I was wondering when there’d be another themed sale on Steam, and here’s one now, celebrating this year’s Summer Comiket. With a total of twenty-four Japanese indie games on sale, and prices lowered by anywhere from 30% to 80%, what’s not to like? Yay, Comiket! 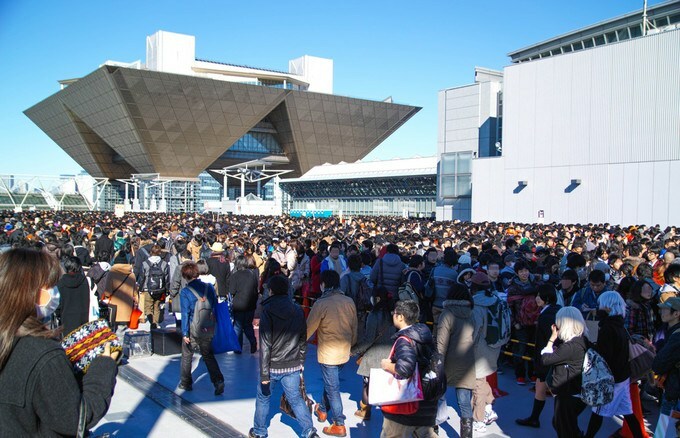 In case you, like me prior to writing this article, are not familiar with Comiket (aka. Comic Market), it’s… the world’s largest doujinshi fair. Or in plain English: a place where self-published Japanese authors (indies!) gather to sell their works. Ain’t no small-time thing either, as attendee numbers have long since (back in 2004) passed the 500,000 mark! Wow. More details can be found on the official website, in English, Japanese, Korean, and I think ‘Han’ is Chinese? Apologies if I am mistaken. Oh and since the next one takes place August 15 through 17, 2014, I’d get to packin’ if you plan on going. But I’m sure more of you are reading this for the Steam sale, rather than an interest in Comiket (boo!). As such, I’ve listed the included titles below, complete with discount percentage and current USD price tag. Indented titles are part of the ‘complete’ pack above, and since some are available cheaper in one or more bundles, be sure to check those first. Speaking of which, where’s that third Build a Doujin, Groupees? Anyway, all good? Enjoy some cheap Japanese indie games on Steam then, in celebration of… Comiket!